Kozhikode was once a significant trade and commerce center along with being an important region of Malabar in the erstwhile years. The serene beaches, exotic wildlife sanctuaries, magnificent rivers and the lush green countryside make for a popular tourist destination. The place was dotted on the India’s map with the discovery of Sea Route to India. It is a historical town featuring an ancient past and is scattered with large number of forts and palaces in its circumference. 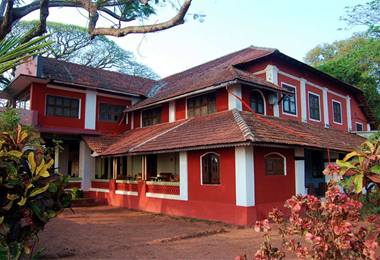 With time of these majestic palaces and forts have been turned into heritage hotels to preserve the old world charms and allow the visitors of Kozhikode, to dwell in these imperial historic properties. The rooms of the heritage hotels of Kozhikode come fitted with all sorts of modern facilities to give the guests a comfortable stay. While enjoying stay in these hotels also pamper ones taste buds with the delicious Mughlai and Mopillah cuisine being beautifully served on the guests’ platter. A range of facilities makes ones stay in these hotels more comfortable. The services provided by the heritage hotels in Kozhikode include Doctor on call, Swimming pool, Currency exchange, Valet, STD/ISD phone and Cable television. The Kozhikode heritage hotels are the most sought accommodations and booking it through the HeritageHotelsofIndia online portal one can avail great discounts.